Dr. Dongyang Li is a professor of Department of Chemical & Material engineering of Unviersity of Alberta. He is a doctoral advisor at the Harbin Institute of Technology in China and has been a visiting Scientist and Professor in Japan and Singapore. He has a PhD in Metallurgic Engineering from McGill University and a PhD in Material Physics from the University of Science and Technology in Beijing. Dr. Dongyang Li is also one of the Technical Research and Development Advisors in Cryotron . Along with his work conducting projects with major oil sands clients, Dr. Li provides valuable third party research and wear analysis capabilities to the Cryotron team. Dr Li is the Editor and chief of the International Journal of Nano and Biomaterials. Dr. Li has in excess of 240 publications including more than 190 refereed journal publications. He is a co-author or contributor to the Smithells Metals Reference Book (8th edition, 2004, Elsevier Ltd., UK) and Encyclopedia of Tribology (Springer, in press). Since joined Unversity of Alberta, Dr. Li has established a world-class surface/wear program that has gained high international reputation. 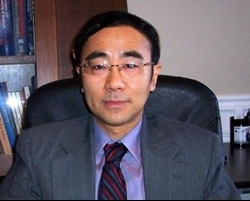 Dr. Li has served as an editor-in-chief for International Journal of Nano and Biomaterials and also serves as a member of editorial boards for several other journals. He has also served for a number of international conferences, reviewed journal manuscripts and grant applications for national and foreign agencies.